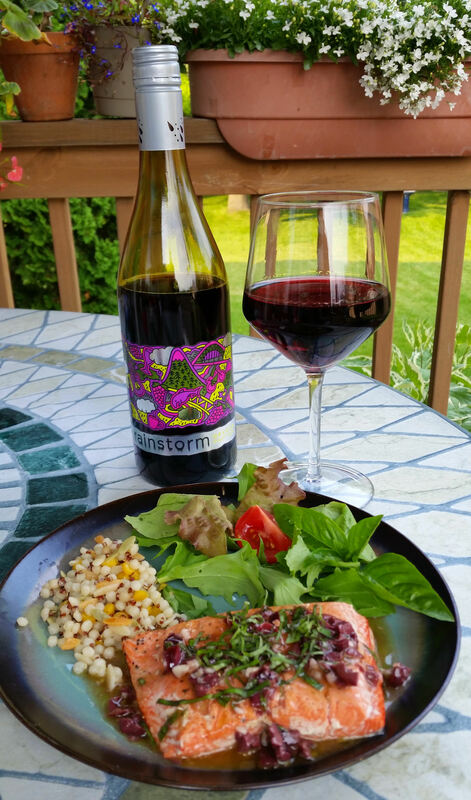 They suggested a trio of Oregon wines (Rainstorm Pinot Noir, Rainstorm Pinot Gris and Rainstorm Silver Linings Rosé) to pair with the salmon and sent some recipes and Fire & Flavor cedar grilling planks and papers. I had just raided the fresh olive bar at the supermarket and I have no fewer than a dozen basil plants growing in my garden, so that led me to try this recipe first. I’ll be making this one again and again. As an added bonus, every one of the wines paired beautifully with this dish, so take your pick or try all three! 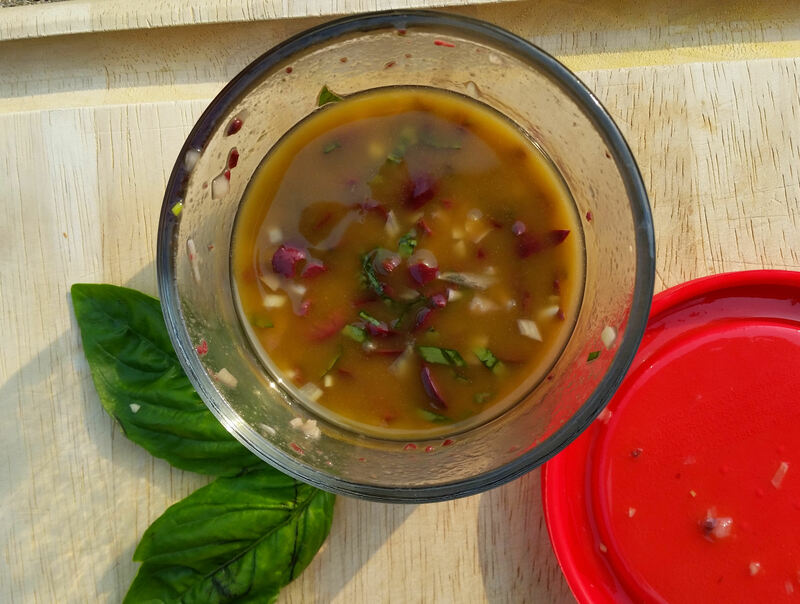 Make the vinaigrette: Place all the ingredients in a small a jar with a tight lid and shake really well to combine; season to taste with salt and pepper, set aside. Season salmon fillets with salt and pepper. Place each fillet face-down in the center of a soaked paper, parallel to the grain of the wood. Drizzle each fillet with 1 teaspoon of vinaigrette. Fold edges of paper around the fish so that the edges overlap and tie it together with cotton string. 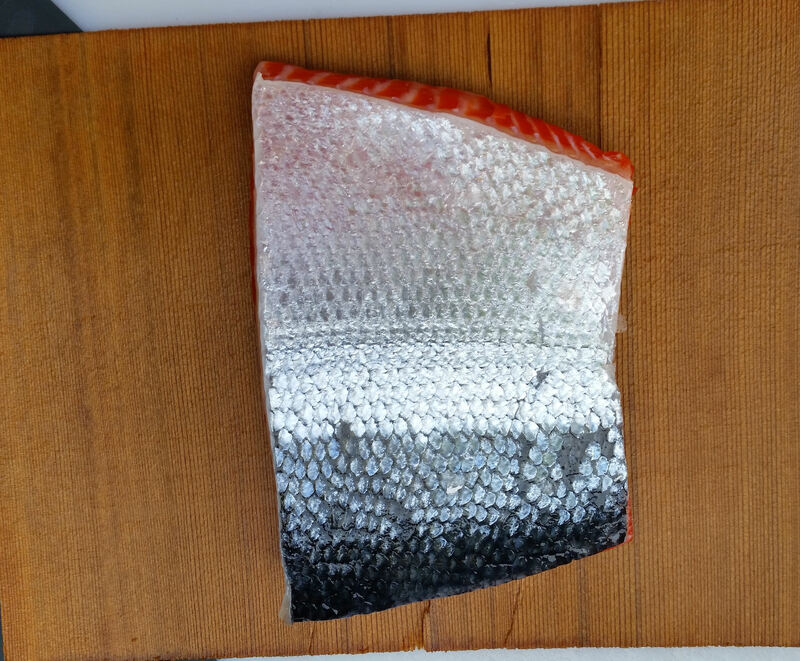 Place cedar-wrapped salmon seam-side down on grill and cook until done, about 3-4 minutes per side, depending on thickness of fish. Remove from grill using tongs and serve immediately with vinaigrette. Get the papers soaking first. I found it easiest to place them (alternating directions) on a plate in the sink. I filled the plate with water and placed another plate on top to keep the papers submerged. 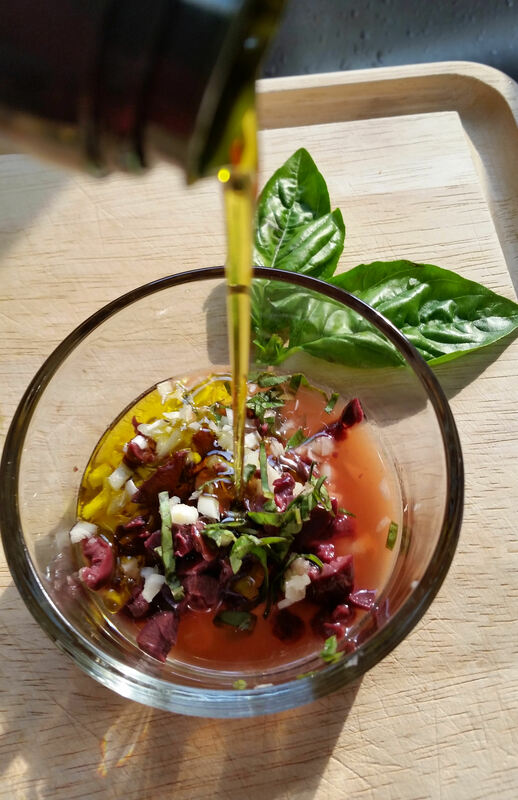 To make the vinaigrette, chop and mince the ingredients and put everything in the jar or bowl. Shake really well to combine. Adjust salt and pepper to taste; set aside and shake well again just prior to serving. 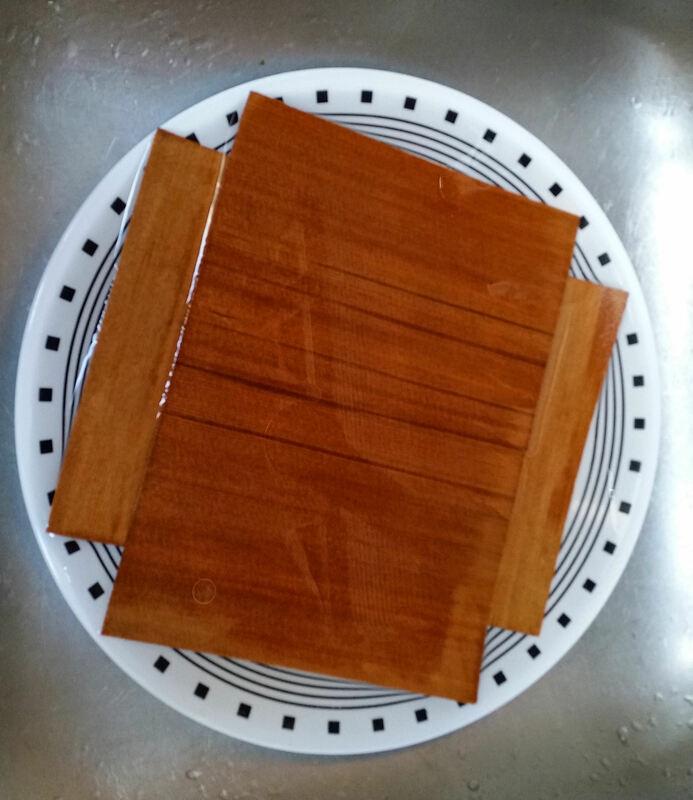 To use the cedar papers, place each fillet face-down in the center of a soaked paper, parallel to the grain of the wood. Fold outer edges of paper around the fish so that the edges overlap, and tie it together with the dampened cotton string. 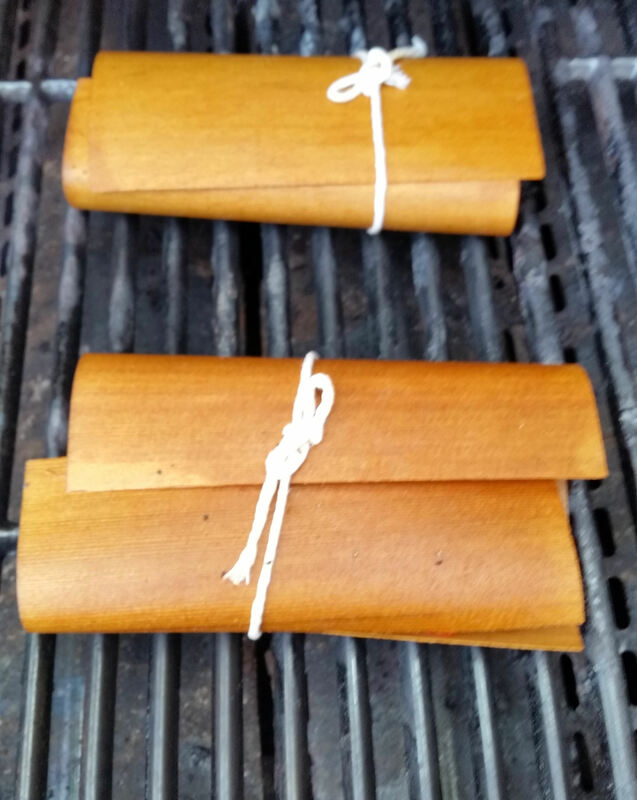 Place each bundle seam-side down on grill. Note: I missed the seam-side down part but everything still turned out fine. Cook until done, about 3-4 minutes per side, depending on thickness of fish. You can peek at the fish through the side to get an idea of how cooked it is. Remove from grill using tongs. 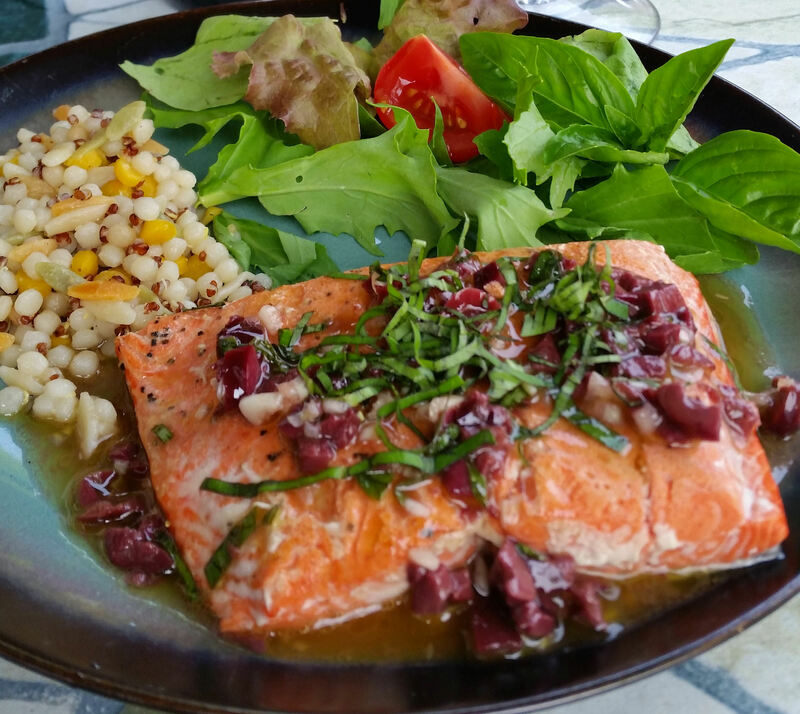 Either serve the salmon in the wrapper and let guests open the bundle, or remove the salmon prior to plating. Serve immediately topped generously with vinaigrette. Enjoy! Never heard of cedar wrapped salmon but it sounds delicious!